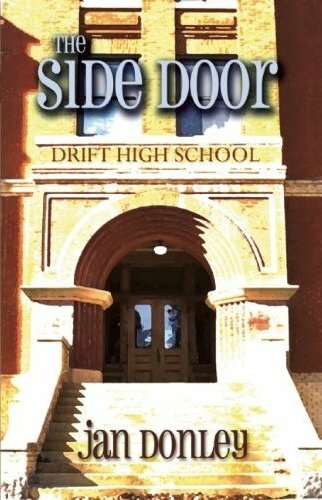 On her first day of high school, fifteen-year-old Melrose Bird sees Alex Weber’s mother on a park bench staring at Drift High School where her teenage son died five years ago. Alex’s death has never been discussed in the town or at the school. But Mel and her best friend Frank become obsessed with Alex’s grave and consumed by the why of his suicide. When Mel happens upon a pair of Alex’s cargo pants, she takes them. And what she finds inside the pockets brings into focus the story of Alex’s brief life and his death. Determined to pressure the school and the town into recognizing why Alex died, Mel confronts a world of adult secrecy and deception. Even her own peers are giving her trouble. Mel’s assertion of her identity — her buzz cut and the pants she wears — is met with condemnation from her classmates. But anyone who thinks Mel Bird will retreat from disapproval or opposition is badly mistaken. Insightful, well-written and thoroughly engaging - a perfect read for teens and growns-ups about the cost of bullying and the bravery of being who you are. A Katherine V. Forrest selection. Omar Figueras, July 2011: ...The Side Door touches every aspect of what it is to be a young and gay in today's world, but it also speaks directly to the human heart as Donley's treatment of her characters is sincere and warm. The author's prose is rhythmic and enchanting, at times beguiling, but it is always authentic and grounded in reality. Teresa DeCrecenzo, June, 2011: This is a book that ought to be bought by the tens of thousands by PFFLAG (Parents, Families and Friends of Lesbians and Gays), and widely distributed to its members and suppoters. It also ought to be required reading for high schools all over the country. 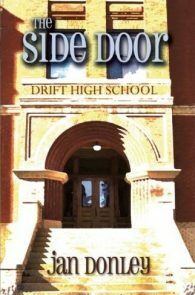 June, 2011: The Side Door is a well-written story because it captures the way a fifteen-year-old sees the world with great accuracy. Mel has the conviction of someone with a limited world view because of her age. From her perspective, she is the only one who is seeking the truth; anyone who disagrees with her is wrong; anyone who won't help her is a coward. She faces situations with great bravery, but also with a total disregard of the feelings of other people, just like a fifteen-year-old. November, 2010: This story deals with teen issues on a deep level. The main character is fully realized with profound emotional struggles and a strong desire to be herself, while bringing truth to the larger community... The Side Door is a stunning read and a timely topic in today's world. October, 2010: Jan Donley has beautifully captured the angst felt by many gay and lesbian teenagers. Her characters, young Melrose (Mel to all who know her) and Frank, must face their parents and their classmates as they struggle with defining who they are. [As Mel] uncovers layers and layers of secrets she muses, "How many of those walking secrets did we pass every day, thinking they were just mild-mannered people going about their business?" Side Door is an engrossing story, with well-developed characters, and some surprising twists. 2010 Wrap-up - January 2011: I really wish there was a book like this when I was fifteen and coming out. I love the way she conjures the voice, true voice of this fifteen-year-old girl struggling with her budding lesbianism. I recommend this book for anybody. September, 2010: ...The story of two teenagers who come out of the closet on the eve of their first day of high school, and through the exploration of a classmate's suicide five years earlier, discover the truth about bullying, teen suicide, and the fatal silence around adolescent sexual orientation and gender identity. Syndicated - 08/09/2010: Though it's set in 1988 — when teens still scribbled phone numbers on napkins rather than synching their smart phones — the parallel themes in Donley's debut of queer self-discovery and the destructive power of secrets pack a contemporary punch. Melrose Bird — she really, really prefers to be called Mel — and her artistic pal Frank are 15-year-old outsiders coming to terms with the truth that she's a dyke and he's a fag. Their realization coalesces around the hushed-up suicide five years earlier of a boy named Alex, whose heartbroken mother's sad vigil in the park across from their high school leads Mel to dig into his death. What she discovers — a closeted football jock who rebuffed him and a closeted school counselor who ignored him — galvanizes her own coming out. Donley's young adult novel touches all the relevant bases: parents whose emotions evolve from anger to understanding and fellow students whose attitudes range from intolerance to acceptance — in a story that nicely balances humor and emotion.